Not everyone loves the quickened pulse, the rush of adrenaline and the thrill while riding scary amusement park adventure rides. And not everyone craves to feel their stomach in their mouths, but anyone who does, we have just the solution for it! Here, we have compiled a list of most terrifying Adventure Rides from all over the world. So tighten your seat belts and get ready for an exhilarating ride! 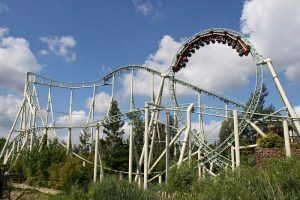 Located at Holiday Park in Haßloch, Rhineland-Palatinate, Germany, this horror-themed roller coaster ride is perfectly named as it makes you scream at the top of your lungs. This all-rounder ride stands 150 ft. tall and runs with the top speed of 62 mph. Be prepared for the flips and inversions in this wicked ride of horror! Located on the top of the STRAT Hotel (previously called Stratosphere), Casino and SkyPod in LA, Nevada, USA, this ride is correctly named so. You really gotta be insane to try this 900 ft. tall thrill ride which dangles its passengers with its mechanical arm and then spins them in the open air –at a 70-degree angle while at the same time reaching up to 40 mph. So basically this mechanical arm is extending you around 64 feet over the north edge of the hotel and is rotating you up to three Gs. 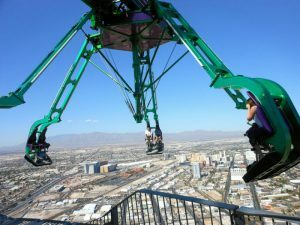 If you are brave enough to keep your eyes open during the ride, you can grasp a breath-taking view of Las Vegas, but then, I am guessing you need to close your eyes for all the praying, no? Just Kidding! Try to not take this ride with a full stomach or if you get dizzy easily. 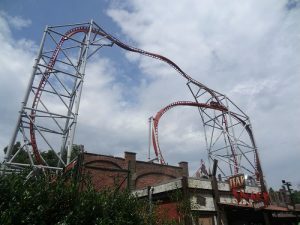 Located in Jackson, New Jersey, USA, this gut-wrenching rollercoaster is the World’s tallest and North America’s fastest roller coaster. 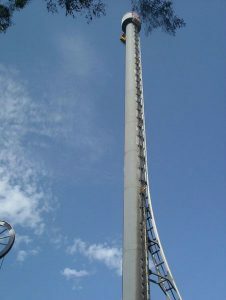 You would be going 456 ft (139m, a drop of 418 ft at 90 degrees) up in the air at a whopping speed of 128 mph. 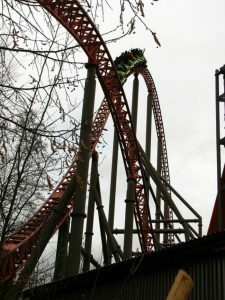 Brace yourselves for both negative and positive G-force that you’d be experiencing in this ride. 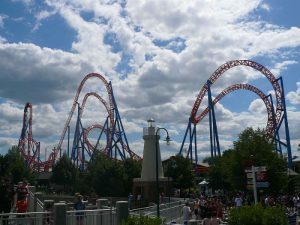 Located at Six Flags New England Agawam, Massachusetts, USA this roller coaster consists of 5 airtime hills (4 airtime hills and a twisted airtime hill) and 2 helixes (540 degrees and 500 degrees). With the oversized strength and speed, this roller coaster sure does live up to its name. 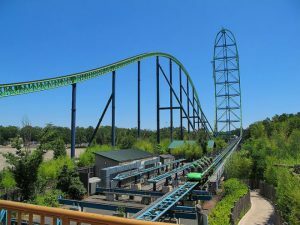 The ride features a 208-foot lift hill, a 221-foot drop, and over 1-mile track which ends in approximately 2 minutes 10 seconds. Your thrilling ride is set at a speed of a whopping 77 mph which does give you all the SUPERMAN feels! Located at the DreamWorld Amusement Park on the Gold Coast, Queensland, Australia, this steel shuttle roller coaster takes you to a height of 115 m and then you are in for a zero-gravity drop which takes 6.5 seconds. At around 100 mph this ride takes you up at a height of 38 stories and lets you experience the life in zero gravity (or should I say, TERROR?). You’ll find this “ruins of Atlantean civilization” themed steel shuttle roller coaster at Thorpe Park in Surrey, UK. This thrilling coaster holds the world record for inversions which include: a vertical loop, two cobra rolls, two corkscrews, and five heartline rolls. This ride will take you 98ft high, at a speed of 45mph which takes approximately 90 seconds in total with all its spins and loops. Located at Cedar Point Amusement Park Sandusky in Ohio, USA, this steel shuttle roller takes you on a thrilling trip for 2.5 minutes. This exhilarating trip takes you 105 ft high at a speed of 70 mph with 2 inversions in total. The surprise element of this ride is the drop angle of 95 degrees, so hang tight! 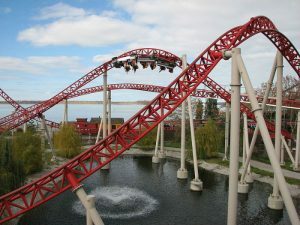 Considered as one of the largest roller coasters in Europe with 82 degrees first drop, Expedition GeForce is also located at Holiday Park in Haßloch, Rhineland-Palatinate, Germany. 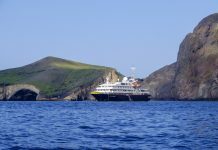 The trip goes for 1.15 minutes during which the speed almost reaches 75 mph and takes you to a height of 174 feet with 7 periods of weightlessness. It’s so bad that its gooood! 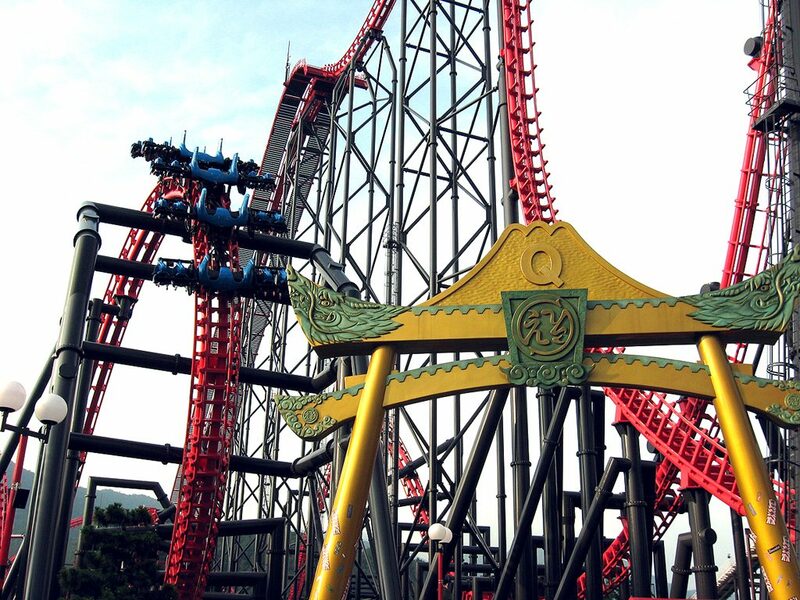 Situated at Fuji-Q Highland in Fujiyoshida, Yamanashi, Japan, Eejanaika is world’s second 4th Dimension coaster. If you are an adrenaline junkie, this roller coaster is a must for you! The exact translation of its name on Google Translate is “C’mon, it’s ok” when looking at the three rotations of this ride, IT’S CLEARLY NOT! The course length of this ride is 1,153 m which is covered in 2 minutes with a speed of 78.3 mph approximately. As the ride begins, the seat rotates in a controlled 360-degree spin and clearly throws the rider’s senses out of the field. 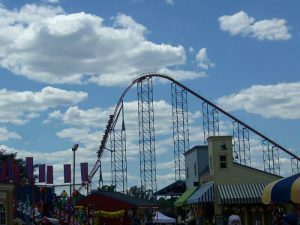 Throughout the ride, the riders go through 14 inversions in total making this the only roller coaster with the most inversions (According to Guinness World Book of Records). This steel roller coaster is located at Hersheypark in Hershey, Pennsylvania which features 6 inversions in total. This monstrosity became the World’s Steepest Roller Coaster with its 97 degrees drop facedown when it opened in 2008. Described as a “vertical lift inverted loop coaster”, Fahrenheit features airtime hills and high-speed banked curves, cobra roll, 97-degree drop on the first hill and a 121-foot vertical lift. This entire ride takes 1.25 minutes during which its maximum speed is 58 mph. Get ready for a completely different pick and drop than your usual Uber rides! Plan your trip to cover all these rides if you are a thrill-seeker and do let us know about your experiences in the comments below!